Some scientists have hypothesized that low vitamin D levels may play a role in the development of autism. While there are many environmental and genetic factors involved in this disease, Dr John Cannell, founder of the non-profit Vitamin D Council, believes vitamin D could play a role, with low levels contributing to an increased risk of autism. The sunshine vitamin plays an important role in brain development and in gene regulation, among other various important actions such as immune regulation and bone health. Many studies have found that an unusually high number of children with autism are born in the spring, the time of year when a mother’s vitamin D levels are the lowest. Also there have been studies linking darker skin tones with an increased risk of autism. Darker skin tones require more sun exposure to meet vitamin D needs. While the research on this subject is in its early stages and there is no overt proof that vitamin D reduces the risk of autism, there have been some studies supporting the hypothesis. A 2010 study investigating this possible connection was published in the Journal of Alternative and Complementary Medicine (J Altern Complement Med. 2010 Jun;16(6):641-5.). This study found that the group of children with autism had significantly lower vitamin D levels than children without autism. Other studies have found similar results. One study by Dr Elisbeth Fernell and colleagues (Sweden) looked at the vitamin D levels of Somali mothers who had children now diagnosed with Autism. These mothers had very low levels of vitamin D and their low levels trended lower than mothers with children who did not have autism. Related studies involving Dr Fernell published in 2008 and 2010 in Developmental Medicine and Child Neurology found Somali children living in Sweden were 3-4 times more likely to develop autism than non-Somalis in Sweden. The Somali community even called autism “the Swedish disease”. Somalis living in Minnesota were also experiencing the same problem. Sweden and Minnesota do not have the amount of sunshine the Somalis were used to and with their darker skin tone they absorb even less than Caucasians living in those regions. 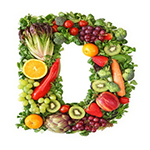 Low vitamin D levels have been associated with a myriad of other diseases in adults and children including cancer, multiple sclerosis, type 1 and 2 diabetes, and bone disease. Expectant mothers should be made aware of the importance of adequate vitamin D during pregnancy for overall health and they need to ensure that their baby receives adequate vitamin D after they are born. Breast milk is actually not a good source of vitamin D. The American Academy of Pediatrics recommends that all breast fed babies receive 400IU of vitamin D per day. Pregnant or lactating women require a minimum of 600 IU per day with a tolerable upper intake level of 4,000 IU per day. If your child has autism or a related autism-spectrum disorder ask your physician to check vitamin D levels with a 25-Hydroxy-vitamin D blood test, a.k.a 25 (OH) D. Your physician can then determine if additional supplements or sunshine are needed to boost lower than optimal levels. It is not recommended to give high doses of vitamin D to children unless directed by a healthcare professional. Vitamin D levels could also be checked prior to conceiving to see if levels are in a healthy range. For more information on vitamin D visit the Vitamin D Council at www.vitamindcouncil.org.